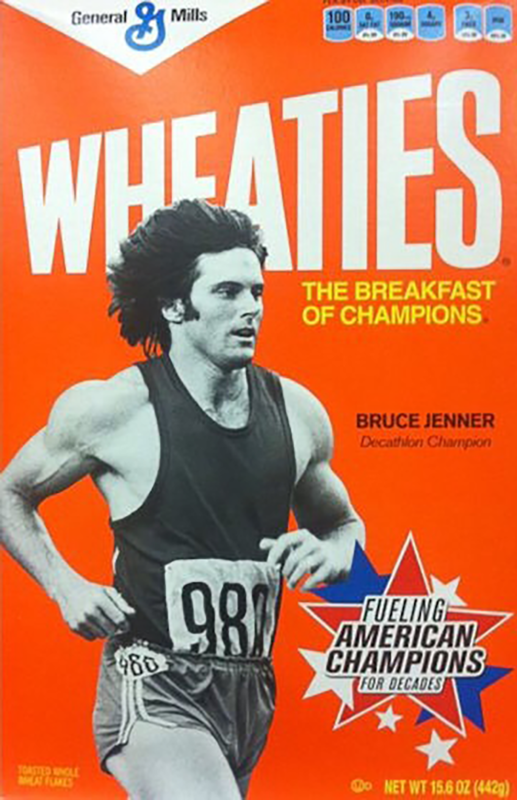 By the time the 26-year old Jenner reached Montreal, he had twice won the Amateur Athletic Union decathlon (in 1974 and 1976) and was the champion of the 1975 Pan American Games. In addition, he was also the current world record holder, a feat he achieved in Eugene, Oregon at the USA-USSR joint track meet in August 1975. Jenner was on a roll, and a favorite to take the gold – and the title from Avilov as he had promised – in 1976. Although things looked rather grim for Bruce after the first day of competition, Jenner remained confident. He knew all of his best events were slated for the second day. And on July 30, 1976, everything went off just as he had hoped –and then some. He ran his hurdles well, pole vaulted his way to a personal best, threw the discus and javelin like a boss, and ran the last 300 meters of the 1,500 meter race like lightning to seal the deal. Jenner finished with 8,617 points, winning the gold medal and setting a new world record. After his Olympic triumph, he was America’s golden boy with movie and endorsement deals rolling in. Jenner was voted the 1976 AP Male Athlete of the Year, and there was, of course, that famous Wheaties box adorning everyone’s breakfast table. In the 1936 Olympics in Berlin, the person who finished in fourth place in the women’s high jump was actually a man, German athlete Heinrich Ratjen. Two years later, he won a gold medal setting a new “women’s” world record in high jump at the European Athletics Championships, before his gender was discovered randomly when police got a report that there was a man dressed as a woman traveling in Magdeburg. The article states that, in 1972, Bruce Jenner told Nikolay [also spelled Mykola] Avilov, “Next time, I’m going to beat you.” Although I was watching the competition in 1976, I could not remember if Avilov actually tried to defend his gold medal. (Many decathlon medalists, unable to maintain their skills for four years, have not reappeared.) I just checked the results and found that Avilov finished behind Jenner and silver-medlist Guido Kratschmer, earning the bronze medal. By the way, Bruce will always be Bruce. He is, and always will be a man, as his “XY” chromosome will always tell us. It’s so sad that he is experiencing some kind of mental illness.